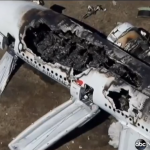 On Saturday, Asiana Flight 214 crashed during landing at San Fransisco International Airport, the first major plane crash in the United States in four years. More than two dozen people remain hospitalized. Dan appeared on Nightline to discuss how this could have happened and how a tiny flight attendant was a hero by carrying passengers off the plane who were twice her size. Emergency vehicles responded immediately. With smoke filling the cabins, emergency responders knew that they had minutes to get everyone out. The emergency slides on board malfunctioned when a couple of the slides inflated inside of the aircraft, pinning flight attendants to the wall. All but two of the passengers survived the crash. The two that passed were Chinese teenagers coming to the United States for summer camp. Watch the segment here.